Today is the last day of the #Fade Blog Tour on Fandom Fanatic and this evening the winner of the giveaway will be announced so there is still time to enter just by leaving a comment! I am so honored to have been the first stop of Ayden's blog tour and wish her much success. Fade is an amazing read and I am loving every word. 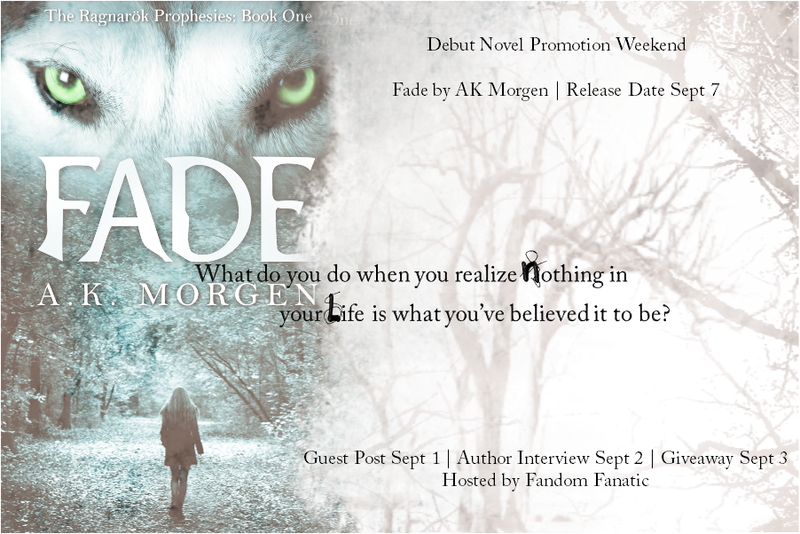 Remember, Fade will be released officially on September 7 but the blog tour will continue until September 19. You can check out the rest of the blog tour here on Ayden's website where she has the schedule posted. Also, today on Goodreads, there is a giveaway for a signed copy of Fade. Make sure you scoot over there to enter. Ayden loves weaving real-life issues (such as losing a parent, living with post-traumatic stress, etc) with mythical and fantasy elements in her work. 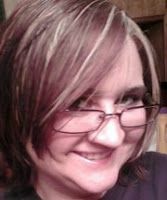 Her debut novel, Fade, will release on September 7, 2012 from Curiosity Quills Press. Fade, Book One of the Ragnarok Prophesies, is a modern, romantic, and often emotional retelling of the Ragnarok prophecy (Twilight of the Gods) of Norse mythology. The novel is set in small-town Arkansas. Ayden's debut novel, Fade, will release on September 7, 2012 from Curiosity Quills Press. Fade, Book One of the Ragnarök Prophesies, is a modern, romantic, and often a very emotional re-telling of the Ragnarök prophesies (Twilight of the Gods) of Norse mythology. "When Arionna Jacobs loses her mother in a tragic accident, her world is turned upside down. She’s forced to leave her old life behind and move in with her father. Dace Matthews, a teaching assistant at her new college, is torn in two, unable to communicate with the feral wolf caged inside him..."
"What do you do when you realize nothing in your life is what you’ve believed it to be?" This looks so interesting. Congrats Ayden!